Bucket and Spade Marketing are a marketing, digital and print company based in Morecambe. They tailor marketing strategies to their clients. They have an experienced team who offer a range of services, including print and graphic design, advertising, photography, email marketing, website and App creation, and social media marketing. They are a passionate, friendly and forward thinking team, which leads to successful business development for their clients, which include Cumbria Tourism. They designed the official 2016 Holiday Guide for the Lake District, Cumbria. Over the years we have loved getting to know and work with all the Cumbria Tourism members throughout the printed holiday guides and food & drinks guides. 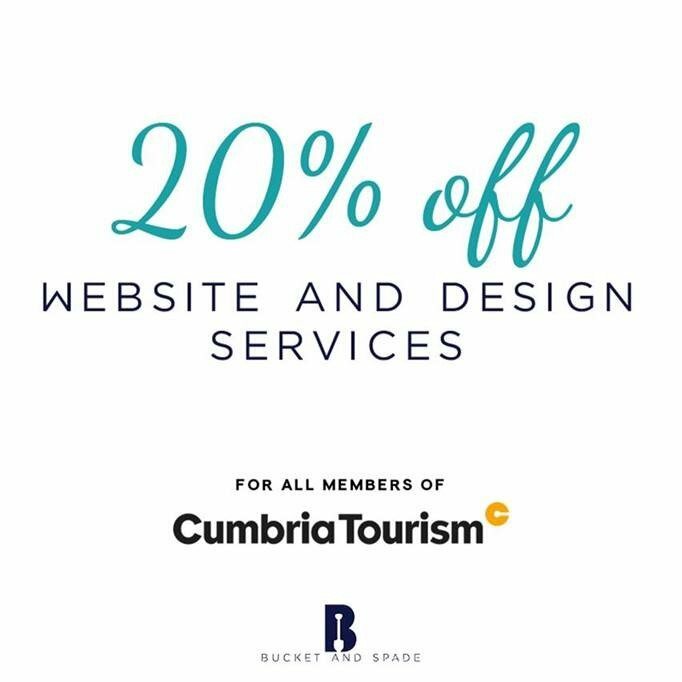 Seeing them grow their businesses and thrive is a great thing, that’s why we are now offering 20% off any website or design packages for all Cumbria Tourism members! Whether you’re looking for a new website, updated menus, brochures or branding then we are here to help. The best part of our job is getting to help businesses of all sizes grow and improve their marketing and design, so get in touch with us to discuss your project in more detail and visit our website to see some of the work we have already done for businesses just like yours.